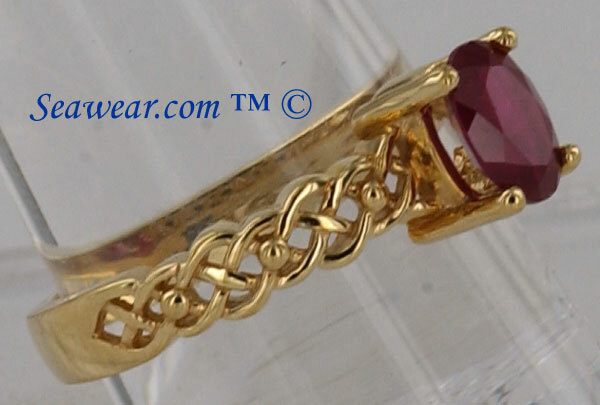 The ring as shown with the Chatham created ruby is a size 7 and weighs approximately 3.5gms. Easily sized up or down by your local jeweler. The width of the knot portion is 3mm and the thickness is 2mm. 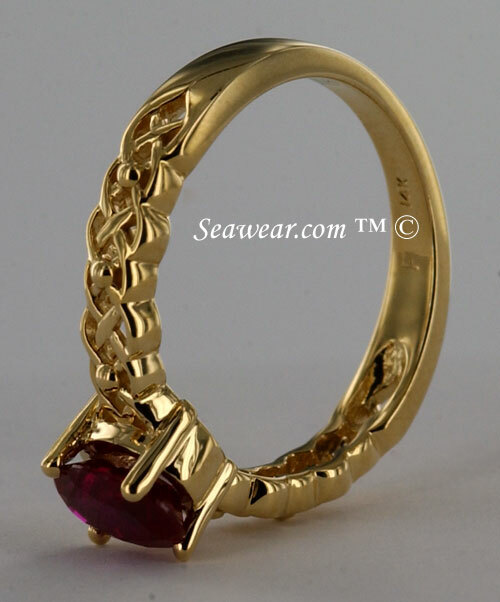 If you are buying the unmounted ring setting your jeweler can set your emerald, diamond, ruby, birthstone or whatever you choose. This can be worn as a fashion ring, birthstone ring, promise ring, anniversary ring engagement ring or just because I love you ring! Delivery time is 2-3 weeks, email for a shopping cart with your choices.